Wyoming Statutes dictate the calculation of all registration fees. Therefore, the fees are the same no matter what county a vehicle is registered in. However, the county that collects the fees keeps and distributes the money to the taxing entities in their county. Therefore, residents are encouraged to register vehicles in the county where they reside. County Fee - an ad valorem tax, meaning a tax based on the value of the vehicle. Therefore, it is usually the portion allowed as a deduction on IRS tax returns. The county fee is distributed monthly to the taxing entities (schools, city, county, etc) in the county. 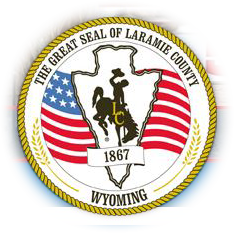 State Fee - a fee levied by and sent to the State of Wyoming. The Factory Cost is the MSRP (Manufacturer's Suggested Retail Price or Sticker Price) of the make, model, and trim level of a vehicle when new.The Clerk's Office determines the factory cost and places it on titles. On July 1, 2017, the State Fee for each registration in the state will be increased depending on what is registered. We have provided a quick chart that shows the increased Fees below. These License Plates will be available with registrations that have a 2018 expiration date.